Submission in search engine is the first step to index website or Webpages. Before submitting website into search engine we need to check website indexing, if website is indexed then no need to submit website. Directory submission also great way to index website. Including that directory submission also best way to achieve one way back link. Social bookmarking is great tool to make excellence back links and attain huge traffic on website. Classified Ad Submission	Most beneficial thing in classified sites is, we can post lots of ads in same website only we need to change the ad title and description. Business listing is also massive tool to boost traffic and to create back links on website home. These sites are also boost direct traffic on website. Blog Commenting	If you are trying to increase traffic on your website or blog then you need to start blog commenting. Article submission is also help us to increase the website traffic and best quality back links. Video submission sites advertises our products or services through the videos. We need to create a video with unique title and post it on the most popular video submissions sites like YouTube. You need to submit your blog/website in blog submission sites. After submission your blog will index regularly and faster. You will also get one way back link with these submission. Website url and keywords which want to targeted. 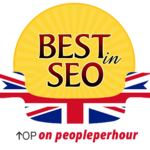 Thank you for your support, working hard with white hat SEO. The provider worked on link building for our website. They provided timely reports on the links that were built. It is difficult to make an objective evaluation of the outcome of the effort but I can share some statics. After two months of work targeting 17 key phrases, three key phrases are now ranking 28, 63 and 81. The rest of the key phrases still rank over 500. We are going into the second month and a lot of effort is going into link building. I am getting clear and a concise plan of weekly activities and always review content before it is posted online. There is some slight indication that we are moving in the right direction in terms of outcomes but I understand it will take some time for the targeted keywords to appear on the first page of Google search results. Everything is done as agreed, very good! Great, very focused on details.